Passing through Mbale and wanting to meet other travelers? 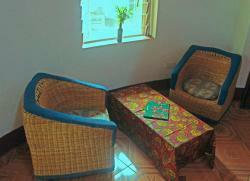 Stay at one of our Hostels and you will get the opportunity to meet new people! 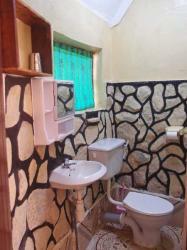 To really feel the spirit of Uganda you are welcome to stay in one of our two bedded self contained Cottages. Our Guest Houses provide most comfortable accommodation in one, two or three bedded rooms. All bathrooms are equipped with a hot shower. The pearl of SALEM is our Suite. With two separate bathrooms, a comfortable seating corner and a large kingsize bed there is nothing you will miss during your stay. While staying with us, we want you not having to worry about anything. 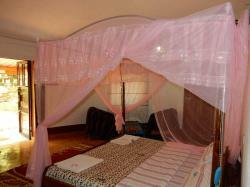 Therefore we attach great importance to having our rooms always clean and each bed equipped with a safe mosquito net. Also included in the price is electricity in each room, bed sheets, towels, daily housekeeping as well as a lovely breakfast (breakfast not included for guests of our hostels). 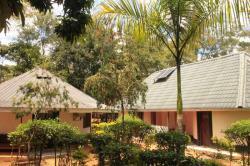 Groups are welcome, please contact us for group rates. 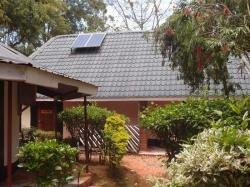 Renting the accommodation for long term is also possible, please contact us for special rates. 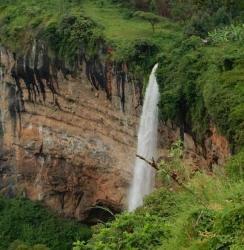 We will help you to organize all your trips in the areas of interest for example: Sipi Falls, Mt Elgon, Nyero Rock Paintings, Mbale Market, Cultural Walks, Nature Walks, bird watching and bicycle riding and tours around SALEM and projects which we support. We can provide you with tents, sleeping bags and mats for your trips and you can hire our vehicles for trips to other beautiful sites. We also offer pick-up service from Entebbe Airport and Mbale bus station. Most of the activities can be planned while you are staying with us but if you need information in advance please feel free to contact us.